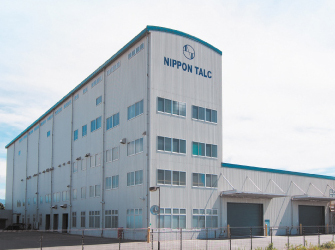 Nippon Talc Co., Ltd. was founded in 1934 as a specialized manufacturer of talc products. 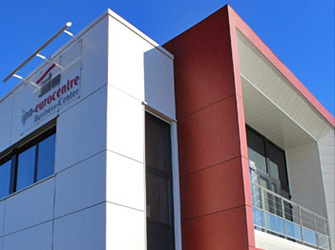 Since then, we have been focusing on the reinforcement of research and development, including the development of unique manufacturing technology. We have steadily developed by pulling out the potential of talc and creating new markets. Nowadays, talc products are widely used from day-to-day products to the various industrial fields. “Harmonious coexistence between humankind and natural resources”as our motto, it is our strong desire to effectively utilize limited natural resources and keep on developing creative products by refining our technologies and challenge aggressively to cope with the changing needs of the times. 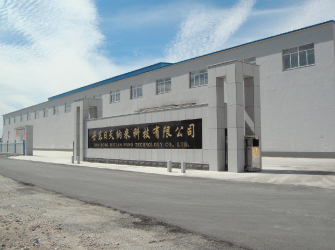 DANDONG RITIAN NANO TECHNOLOGY CO., LTD.
Nippon Talc Co., Ltd. was founded. Seishichi Shikata was appointed the company’s first president. Talc mine development in Guangxi Province, China, as a Japan-China compensation trade project. Expanded the laboratory (in Osaka Plant). Enhanced quality management and R & D.
Established a jet mill in Katsuta Plant. Established a roller mill in Tomakomai Plant. Established compression facilities in Katsuta Plant. 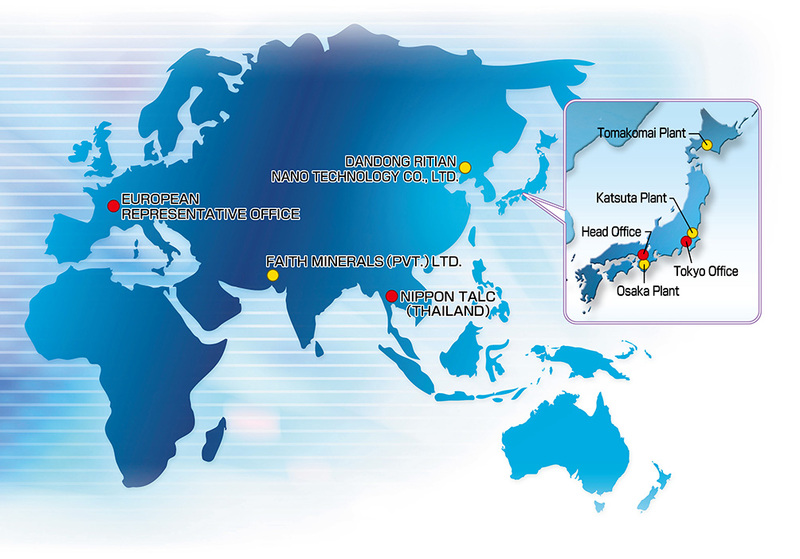 Established classification facilities in Katsuta Plant. 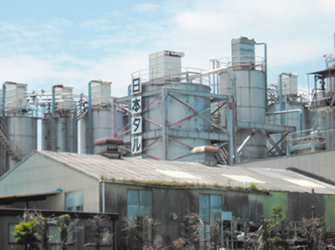 Established ultrafine-powder talc production facilities in Katsuta Plant. 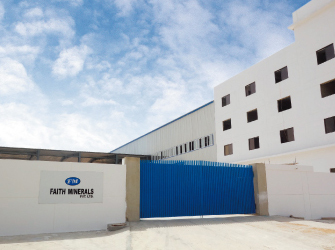 Established food additives production facilities in Katsuta Plant. Acquired a production license. Katsuta Plant acquired ISO9002 certification. New Osaka Plant was constructed. Head Office, Tokyo Office, Osaka Plant, and Katsuta Plant acquired ISO9001 certification. Established surface treatment facilities in Katsuta Plant. NANO ACE was put on sale. 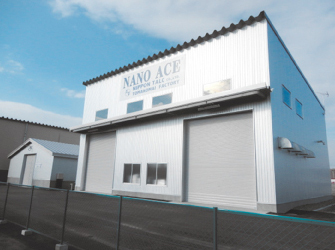 Established NANO ACE production facilities in Tomakomai Plant. Established a subsidiary in Thailand. (NIPPON TALC（THAILAND）CO.,LTD.) Tomakomai Plant acquired ISO9001 certification. 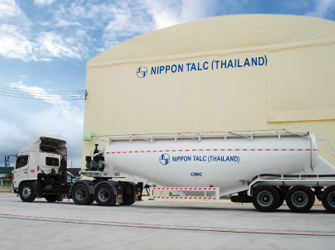 Nippon Talc (Thailand) Rayong Warehouse was constructed.